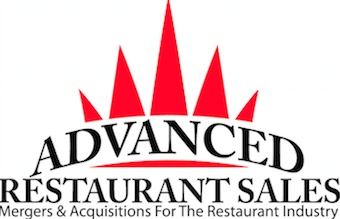 Advanced Restaurant Sales is an independent company led by Robert N. Hunziker, Sr. We specialize in multi-unit restaurant business brokerage. For over 20 years we have assisted buyers and sellers in acquiring and selling their businesses. We have been the advisors in the sale of multi-unit franchised restaurant companies for both Franchisors and Franchisees in virtually every major franchised restaurant system in the United States.. We seek the best financing options for each acquisition. Several options may be explored, and we can assist in assessing each plan, as we are not tied to any specific strategies. I have dealt with virtually every restaurant mergers and acquisitions company in the country and Advanced Restaurant Sales stand out with there dedication and tenacity in the restaurant space. They possess contacts in all of the major franchise systems and most of the smaller systems. The contacts in financing multi unit restaurant acquisitions is also a valuable asset. I recommend them to anyone who is in the restaurant industry or thinking about getting into the industry. I wanted to thank you for your help in the acquisition of our 18 Checkers/Rally’s from Checker’s Drive In Restaurants Inc. Patrick Silvia and Rob Hunziker was never more than a phone call away. They assisted in the Financing, Letter of Intent, and Closing. when key questions had to answered they did so quickly and accurately. Going through this process was made so much easier by having Patrick Silvia and Rob Hunziker facilitate the negotiating and in the end I believe this was a win-win situation for both parties. Identifying qualified franchisees is a challenging business. Advanced Restaurant Sales has introduced us to many qualified prospective franchisees, some of whom are not only in the Papa John’s system, but also great additions to our system. We have been very satisfied with the high-level prospects ARS has provided. If you are selling your business, I would certainly recommend working with them. Vice President, New Business Development Papa John's International, Inc.